Yokohama S. Drive tires are among the most popular high performance summer driving tires sold today, and for good reason, they deliver on what they say they will. Built for sport coupes and sedans, these S Drives deliver outstanding grip handling regardless of wet or dry conditions. The outside of this directional tread design with its silica based compound features a continuous center rib, notched ribs and independent shoulder blocks, which combine to give the tire its powerful cornering abilities and better contact with the pavement. Driving on wet roads is made easier with wider circumferential grooves in the tread along with angled grooves in the outside wall of the tire. This provides better water evacuation and traction and a reduced risk of hydroplaning. Inside the tire are twin steel belts and jointless nylon plies and unique edge strips that provide more strength and durability at higher speeds, while also giving a more comfortable ride. Overall, it’s easy to like the Yokohama S.Drive tire. It has the performance features and looks to go along with a surprisingly comfortable ride and longer treadlife. All of this comes at a price which is lower than what you will find on other models in this class. Prices on the Yokohama S. Drive range from around $75 for the 14 inch series up to $250 for the much larger 20 inch series tires. Who Are Yokohama S Drive Tires Designed For? 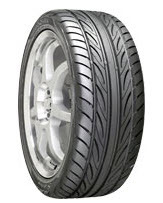 Yokohama has developed the S Drive tires for drivers of performance sports cars and sedans who are looking for a high performance driving tire that corners with some of the best tires in its class, as well as rides comfortably and doesn’t break the budget. Yokohama Tires does not have a treadlife warranty on the S. Drive, which is not surprising with this type of performance model. However you will find a first 2/32 inch guarantee on the tire’s uniformity. Materials and workmanship are backed for 5 years and include a free tire replacement during the first year or first 2/32 inch of treadwear. This is followed up with a prorated amount for the remaining time period down to the last 2/32 inch of useable tread left on the tire. There is also a 30 day test drive with the purchase of the S Drive tire, which gives you the opportunity to exchange the tire for another Yokohama model, or get a refund.